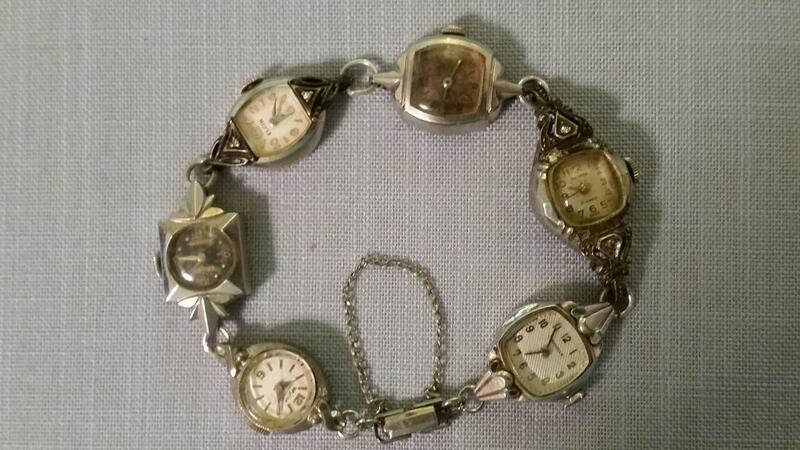 This bracelet is made out of 6 vintage ladies watches from the early to mid 1900's - Caravelle, Fairfax 17 jewels (2 diamonds), Hamilton, Elgin (2 diamonds), Gruen Precision, and Wyler Incaflex. 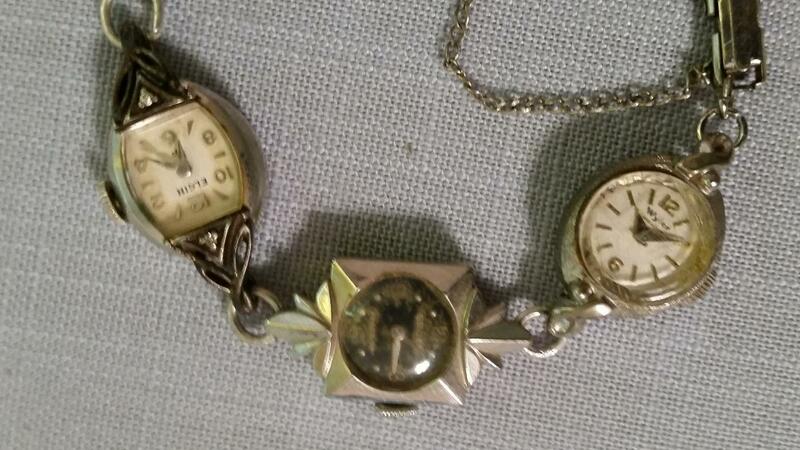 None of these watches are working. 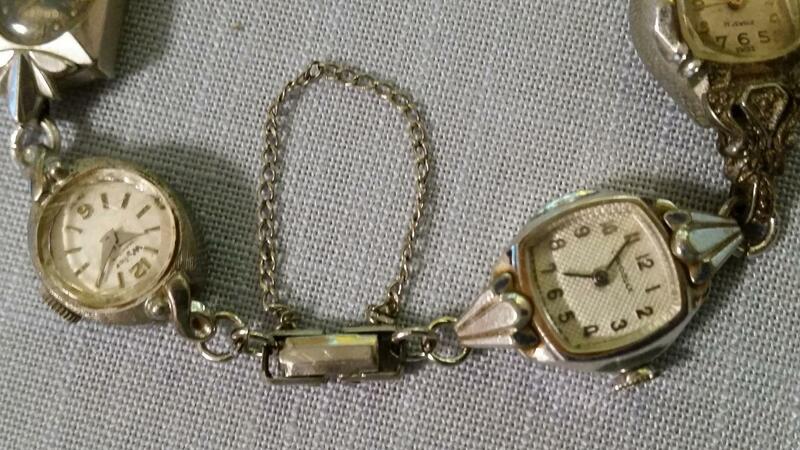 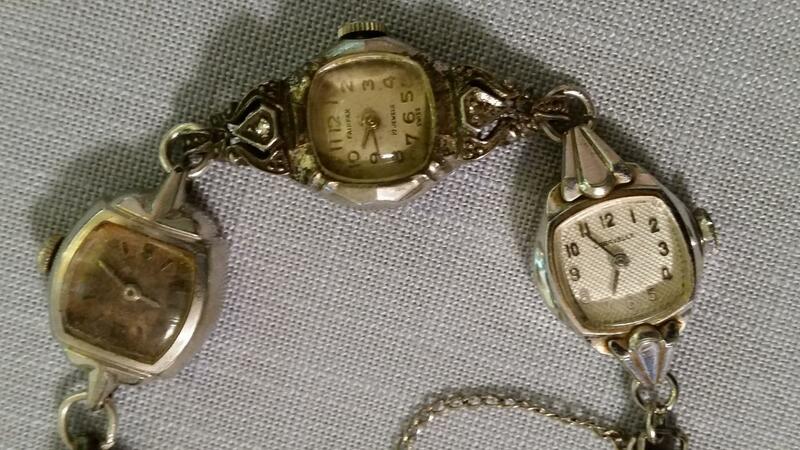 Items Similar To "Bracelet of 6 Vintage Silvertone Ladies Watches"